We know buying a new home comes with a lot of questions, and that’s why we are here to help you every step of the way on your home purchase. 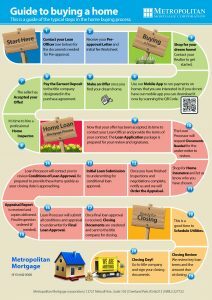 Whether you are a first-time homebuyer or an experienced homeowner, purchasing a new home can be a stressful process. Home loan financing with Metropolitan Mortgage Corporation takes the stress off your shoulders with a Mortgage that closes on time without the hassle. Our experience and expertise in the industry qualify us to assist you in finding the home loan financing that is best for your specific needs. Take a look at the different home purchase loan options, and contact us at any time when you would like to discuss the purchase of your next home.